Public Translations "Translation from Spanish to Japanese "
Public Translations "Translation from Spanish to Japanese " - requests for public viewing. 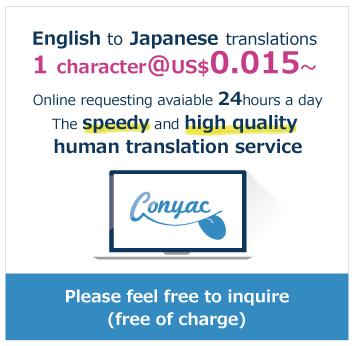 Currently, there are 221 public requests available for the language pair: Spanish to Japanese. For a more refine search, use the search bar or click on more tags such as Business, friendly, Article, funny, Tech, ASAP, technology, economics, free, Culture. Hola manejas tenis de mayoreo? Sería posible recibir las dos figuras del pedido antes?